The phone call between President Obama and Russian President Vladimir Putin after the Boston Marathon bombers were identified as Chechens, in which Obama thanked Putin for Russia’s cooperation on counter-terrorism and promised more such collaboration, was probably the most cordial exchange the two countries have had for some time. The thaw was occurring as Syrian troops were accused of committing a massacre of hundreds civilians as they advanced on Judaydat al-Fadl in the hinterland of Damascus. In other developments, Lebanon’s Hizbullah Shiite militia appeared to have been drawn more explicitly than ever before into the fighting in Syria near the Lebanese border. Russia has been backing the Baathist regime of Bashar al-Assad against largely Sunni rebels. Some of those rebels, in the north of the country, have turned to Muslim radicalism and announced an affiliation with al-Qaeda. 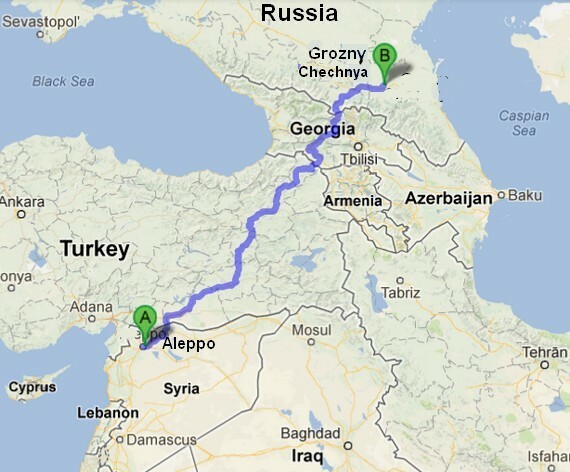 The governor of Chechnya, Putin appointee Ramzan Kadyrov, has denounced the small number of Chechens who went to fight with the rebels in Syria, most of whom are fundamentalists (Kadyrov is a secularist). He said, “They represent neither our people, nor our religion,” saying that they would be “personally hunted down” if they tried to come back to Chechnya. Although Putin’s reasons for backing al-Assad are mostly geopolitical, having to do with reasserting Russia’s great power status, the two are also allied in opposing Sunni Muslim religious nationalism, especially the radical sort. But Putin is not alone. The rise of Jabhat al-Nusra and of Sunni radicalism in northern Syria is alleged to be one reason the Obama administration declines to support the rebels militarily. They fear repeating the mistake of the Reagan administration, which encouraged the radical fundamentalists to fight the Soviet Union in Afghanistan and created an atmosphere in which al-Qaeda could be founded in Afghanistan. Regime advances in taking back territory from the rebels in recent weeks caused the Syrian opposition to be especially angry that Secretary of State John Kerry continued to speak this weekend of supplying only non-military aid, though he announced a big increase in the latter. But frankly, after the bombing of Boston, the likelihood of US intervention in Syria, never very high, has plummeted toward zero. The Obama administration will not want to take a chance on ensconcing another radical hirabi (terrorist) organization in the Middle East, which might one day strike at the US. Obama and Secretary of State John Kerry continue to plump for a diplomatic solution, perhaps involving Bashar al-Assad stepping down, and a joint Baath-rebel government that would move to elections. This scenario, resembling what happened in Yemen, where the ruling party allowed the opposition to join the government after the president was forced out, couldn’t be more unlikely in Syria. The Baath government has killed tens of thousands of people, and is just not any longer acceptable to most Syrians. But the US says it wants talks between the sides. Even as the US kept hands off except for civilian aid, the situation on the ground in Syria became more dire. The pro-Sunni, anti-Baath Lebanese newspaper al-Mustaqbal reports on a massacre in Rif Dimashq, the region southwest of the capital of Damascus. 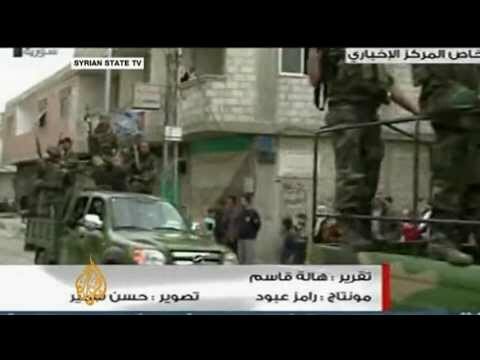 Syrian troops loyal to the Baath government of President Bashar al-Assad have been fighting in Judaidat al-Fadl for five days, and finally took it on Sunday. But when the smoke cleared, there were some 560 dead, many of them women and children (according to rebel sources quoted by CNN). Al-Mustaqbal accuses the Alawi Shiite militias loyal to the regime, the Shabiha (Specters) of having summarily killed the villagers as an object lesson to the other residents of Rif Dimashq that they would be unwise to join the rebellion. The newspaper sees this massacre as an act of sectarian ethnic cleansing, i.e. of Shiites intending to terrorize Sunnis. In other news, the city of Qusair in Syria is on a notorious smuggling route that you could use to supply Homs from Lebanon. It and its hinterland, however, had fallen into the hands of the rebels. On Saturday, the Sunni Syrian rebels sent mortar fire on Hermel, across the border in Lebanon— a Shiite, Hizbullah stronghold. 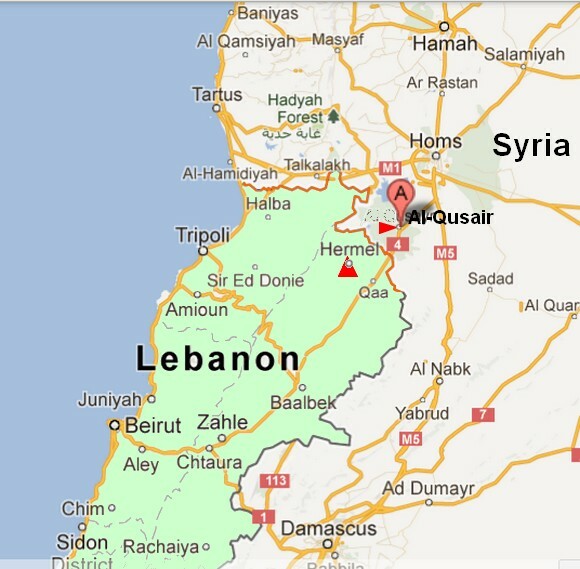 It was the farthest into Lebanese territory that Syrian munitions have fallen. A Hizbullah fighter was also killed in Zita a Shiite town on the Syrian side of the border. Alarabiya reported that Hizbullah fighters assisted the Syrian army on Sunday in a counter-offensive in the hinterland villages between the Lebanese border and Qusair. These, Arab wire services alleged, fell one by one back into Government hands. They include al-Burhania, al-Ridwaniya, and Tel al-Nabi Mandu (the latter is strategic in being higher and allowing whoever holds it to dominate the surrounding villages). The Jordanian al-Dustur reported that the rebels now expect the Syrians to attempt to take back Qusayr itself. If this report is true, it is the most direct attested intervention of Hizbullah in the Syrian civil war yet.